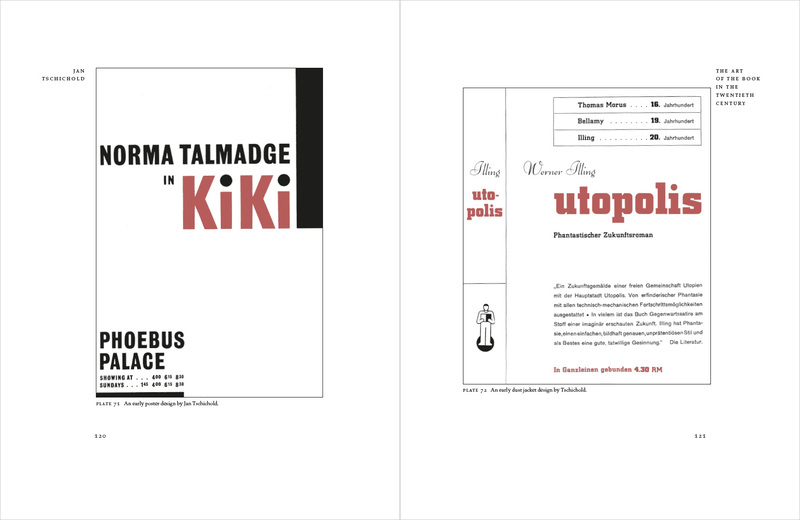 Throughout the twentieth century, modern design theories in combination with newer printing technologies offered book designers far more options than were previously available to them. 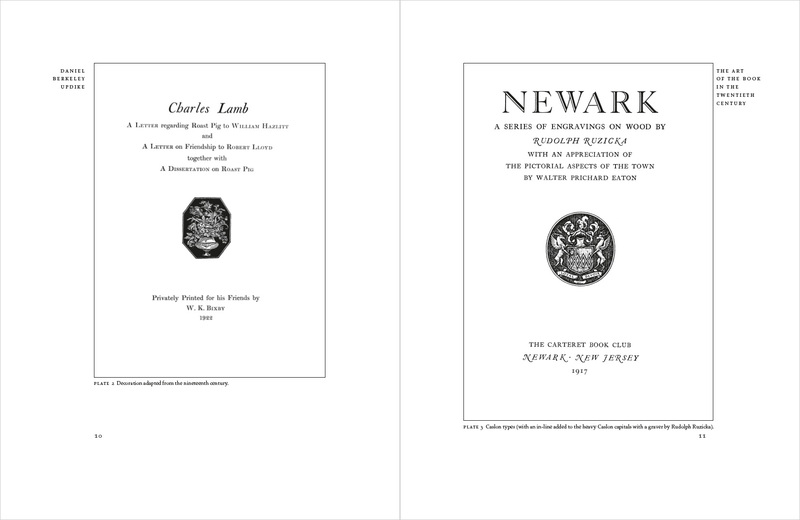 Utilizing these resources, some skillful artisans produced stunning designs in period style, arranging modern re-cuttings of early type designs with historical decoration that resulted in the creation of truly beautiful books; while others preferred a more contemporary aesthetic, building upon earlier principles in a fresh, novel manner. 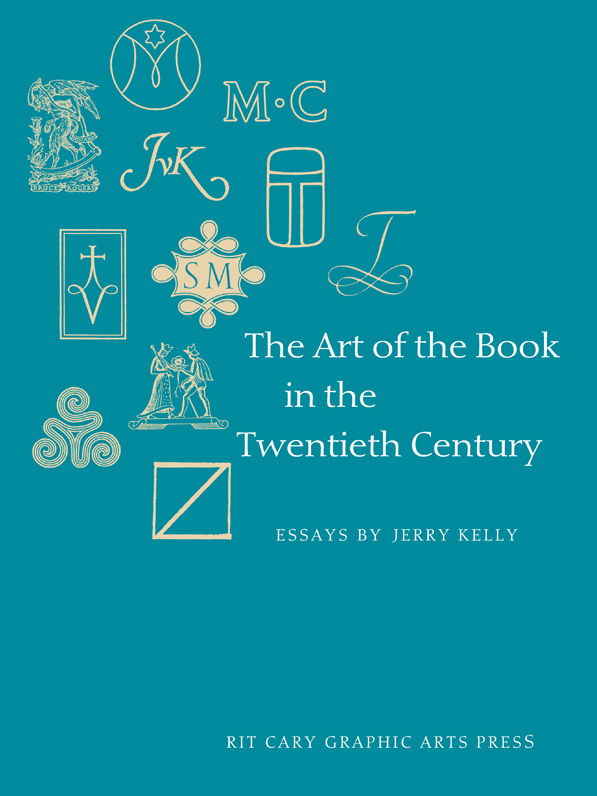 Through the selection of eleven master designers, Jerry Kelly illustrates a wide range of styles: from classically inspired design and historical revival, to novel and modern layouts. He describes the care with which each designer combined typographic elements in their own unique way. 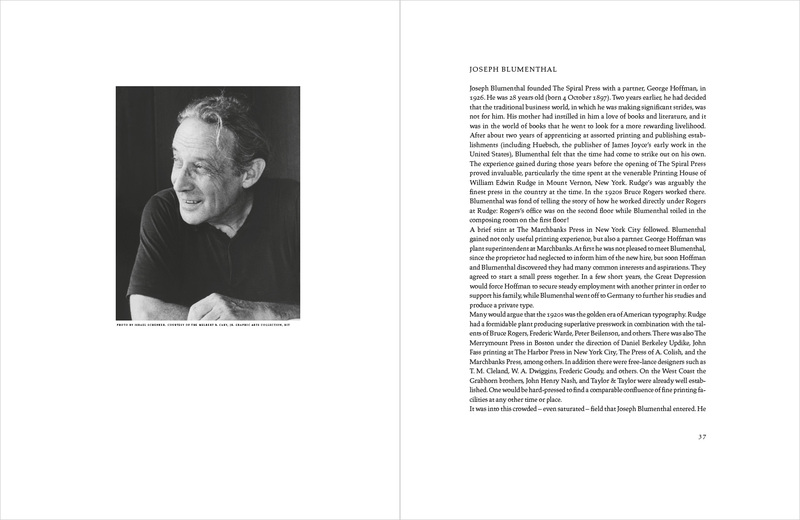 The selection of these designers, ranging from Updike to Zapf, is only a small sampling of the practitioners that the twentieth century produced, but they are indicative of the wide range of book design styles achieved during this exceptionally dynamic century. 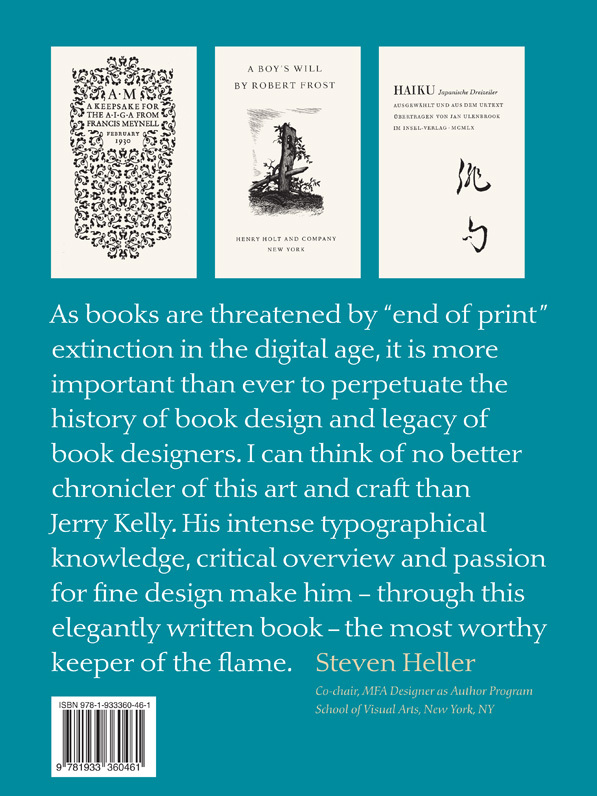 With insightful commentary and carefully selected illustrations, Kelly highlights these important practitioners of the craft of book design, which while by no means is totally inclusive, introduce the reader to exquisite examples of quality book design of the twentieth century and the principles behind them. 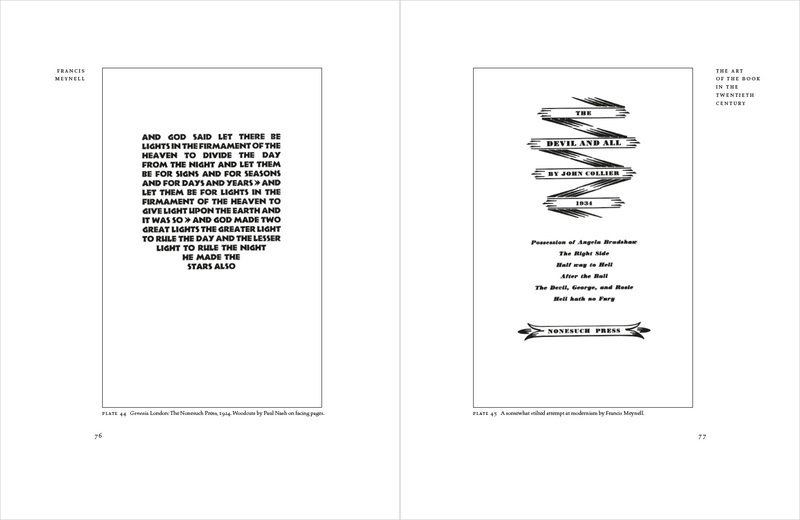 JERRY KELLY is an award winning designer, calligrapher, and printer working independently in New York City. Prior to establishing his own business in 1999, he was a designer/representative for The Stinehour Press and The Press of A. Colish. 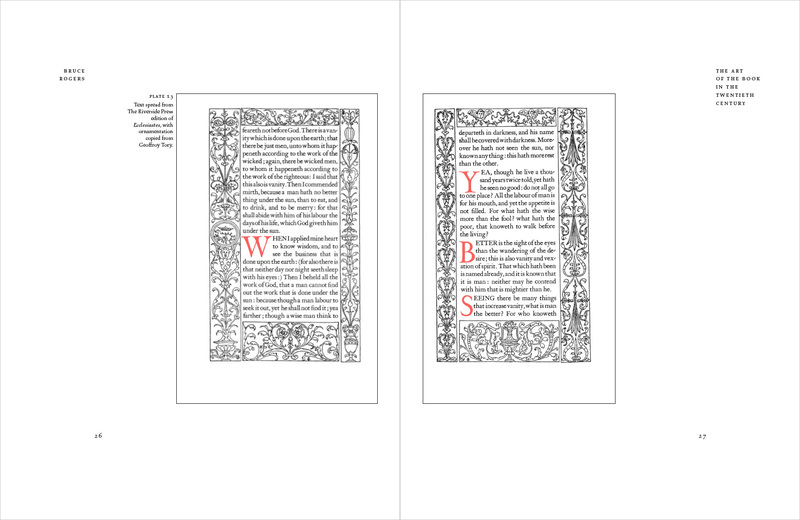 His articles on typography and calligraphy have been widely published in various books and journals, including Matrix, Fine Print, The AIGA Journal, Calligraphy Review, Bookways, and The Papers of the Bibliographical Society of America. He is a member of the Grolier Club, the Bund Deutsche Buchkunstler, The Typophiles, and the American Printing History Association. He received his BFA from Queens College, and he has studied with Hermann Zapf at the Rochester Institute of Technology.